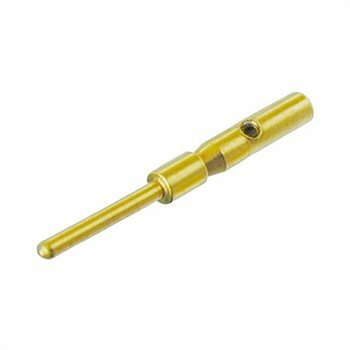 Male crimp contact, gold plated, for cable connectors and receptacles. The MiniCON with its flexible and compact design is perfectly suitable for multipin / industrial applications. The rugged all metal miniature connector offers a push-pull locking device and stands out by its cost/performance ratio.